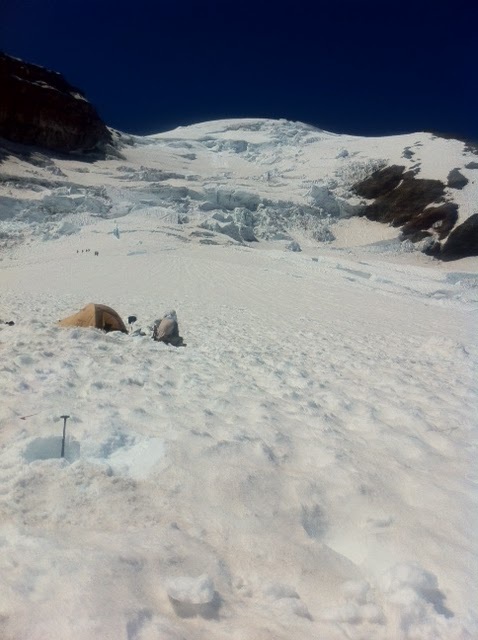 Guide Pete Moore reported very warm temperatures on the hike up to Camp Muir yesterday. As the team ascended the snowfield, the warmth was more easily tolerated, and the sunshine afforded great views. The team is now at high camp and will hopefully have great success reaching the summit in the next 24 hours!